A night at the races set the scene for another Hog Roast & Race Night on Saturday 23rd September 2017 . 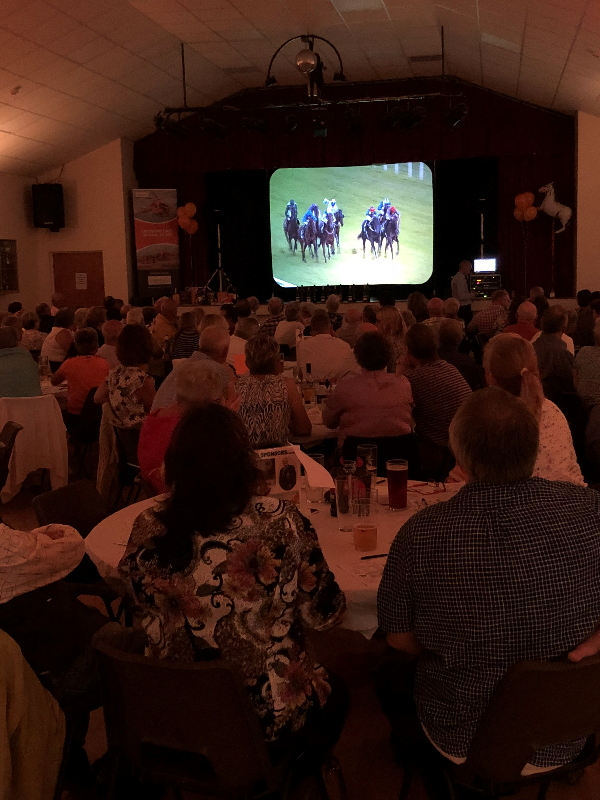 Over 100 people attended the event which once again was all in aid of the MAGPAS emergency medical charity. A big thank you to all the sponsors, ticket holders, horse owners and everyone who donated or contributed to the evening. The club was delighted with the positive feedback received following an enjoyable evening. The MC for the evening was Dave Lines of Soar Valley Race Nights who was thanked for running such a professional event. Fully functional computerised tote systems and equipment along with a large display screen really created a fantastic atmosphere. This year’s Hog Roast was once again supplied by Andy Rose and his team which was enjoyed by all. MAGPAS Air Ambulance couldn’t provide the lifesaving care without events such as these which raises crucial funds for the charity. Doddington SMBC are delighted to be able to hand over a cheque for £780 to the charity and a cheque presentation will be made at the Air Ambulance base shortly. Upon receiving the news of how much was raised, the Events Officer at MAGPAS said “Wow, that’s amazing congratulations and thank you so very much”. Watch this space for another night of entertainment.